Known as the Land of Enchantment, New Mexico is the southeastern portion of the 4 corners in midwest region of the United States. Ranked as the 5th largest state in the country, New Mexico is only ranked 36th in population with over 2 million residents. 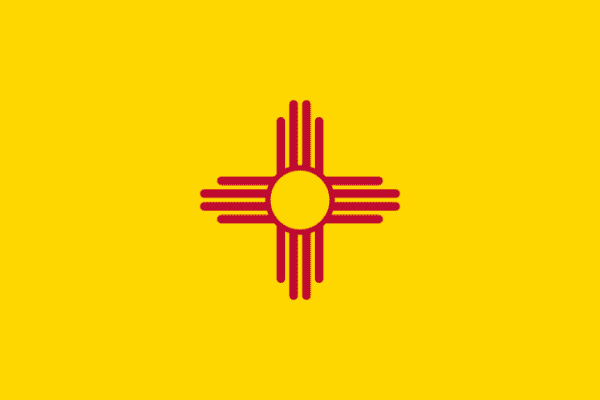 The capital of the state is Santa Fe but Albuquerque is the largest city and metro are in New Mexico. Being on the western border of Texas and Oklahoma, New Mexico lies east of Arizona and south of Colorado. It was voted into the union in 1912 as the 47th state. There is still a large influence of Native Americans in the states for several tribes like Navajo and Apache. Thought to have gotten it’s name from the country of Mexico, New Mexico received it’s original name when it had gained independence from Spain in 1821 after it was known as New Spain. The scrap prices in New Mexico can be found on the iScrap App. Users can locate scrap yards in their area and report scrap prices for metals like copper, steel, and aluminum. Find scrap prices in New Mexico on the iScrap App today and report your own prices too. With a diversity of economic influences, New Mexico has energy, tourism, government spending which contributes the most to the state’s economy. New Mexico is the 3rd largest oil and natural gas producer in the county and is home to three air force bases in the state. Due to the lack of job growth throughout the state, there are many tax exemptions and credits that residents can receive throughout New Mexico. While it may not seem like the state has to rely heavily on scrap metal yards, that all depends on what you think is important. If there are air force bases throughout the state, that means that the planes and jets have to constantly be restored, built, and fixed. Many times the country will need to produce and process more scrap metal to increase the needs for scrap metal recycling. Many of the jets will use steel, copper, aluminum, and other valuable alloys for their components. You will be able to find scrap yards and salvage yards in populated areas in New Mexico like Santa Fe, Albuquerque, and Roswell. You can find New Mexico scrap yards on the iScrap App in the map above or you can search for your zip code in our site. Be sure to contact them for current scrap prices, container services, and auto parts for repairs.